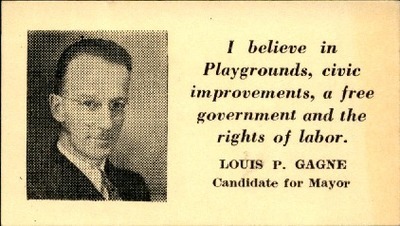 Louis-Philippe Gagne canvassing card; playgrounds,civic improvements, a free government, and the rights of labor. 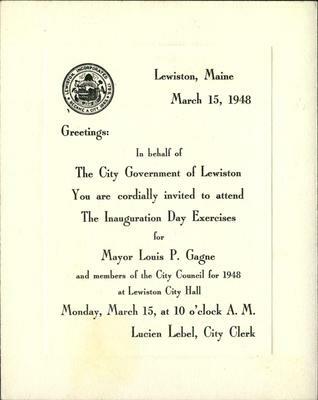 Card for Louis-Philippe Gagne, Maire, Lewiston, Maine. 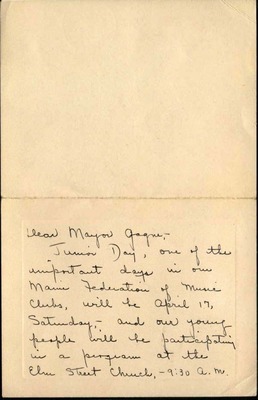 Undated invitation to Louis-Philippe Gagne from Dawn [Couant] Grant for Junior Day at Edward Little High School, Auburn, Maine. 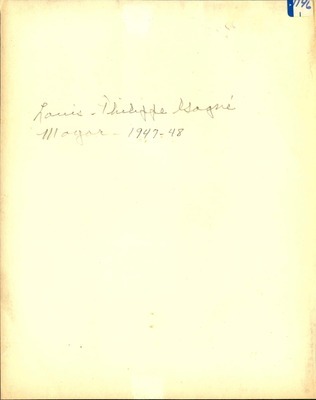 A congratulations note with signatures for Mayor Louis-Philippe Gagne. 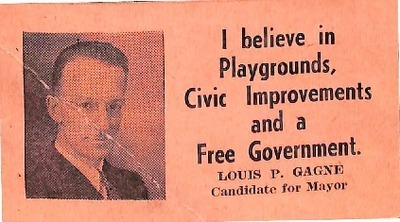 Undated newspaper clippings featuring Louis-Philippe Gagne. 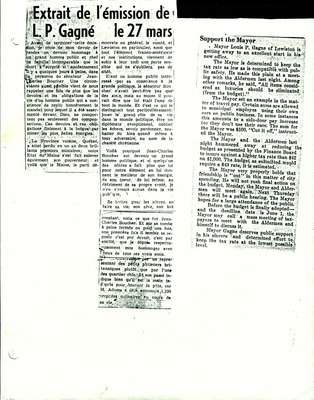 One clipping is written in French and dated "March 27", the other clipping is written in English. 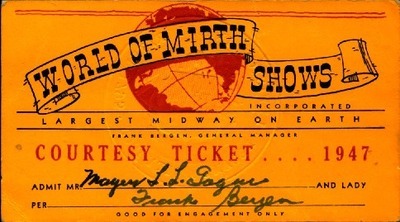 World of Mirth Courtesy Ticket from Frank Bergen to Louis-Philippe Gagne. 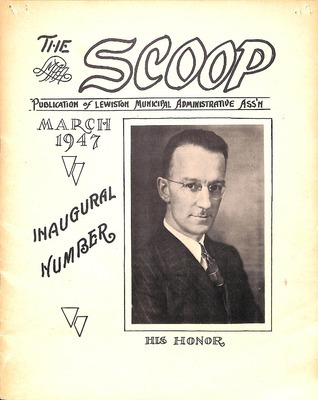 March 17, 1947, invitation for the Inauguration Day Exercises of Louis-Philippe Gagne. 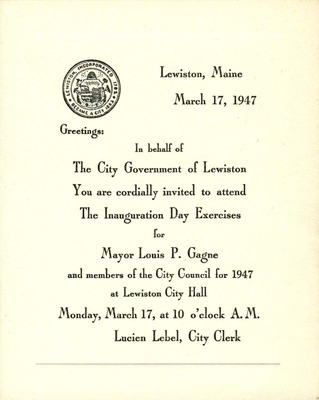 March 15,1948, Inauguration Day Exercises invitation for Louis-Philippe Gagne. 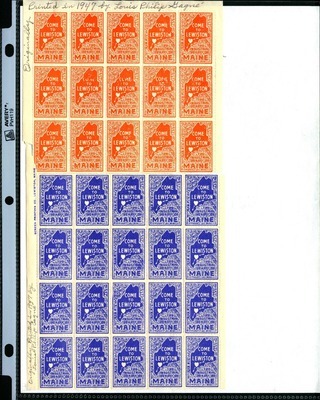 "Come to Lewiston" stamps printed in 1947, blue and orange. 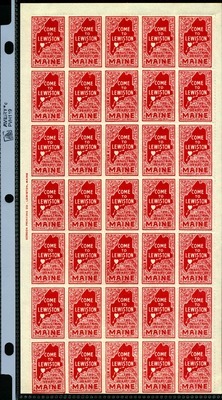 "Come to Lewiston" stamps printed in 1947, red. 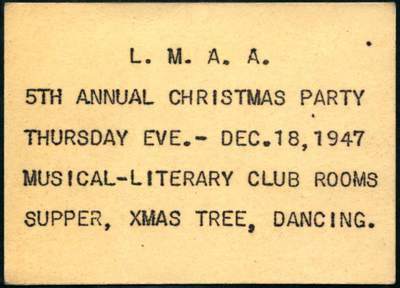 December 18, 1947, 5th annual L.M.A.A. 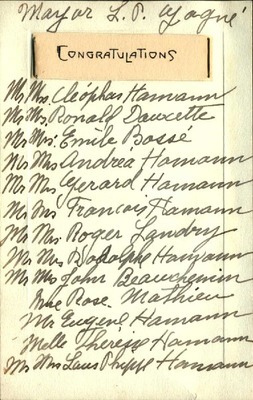 Christmas party invitation. 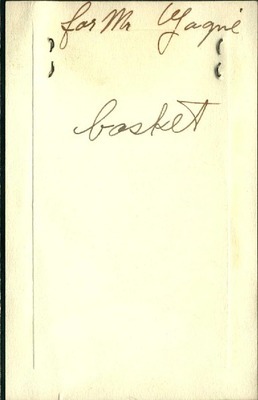 June 16, 1947, welcome ribbon. ca. 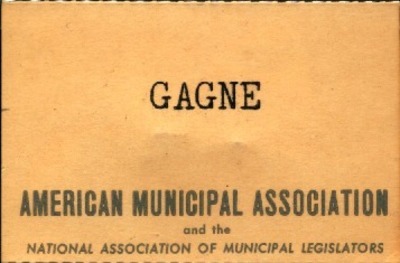 1930, Louis-Philippe Gagne's name tag for the American Municipal Association and the National Association of Municipal Legislators. ca. 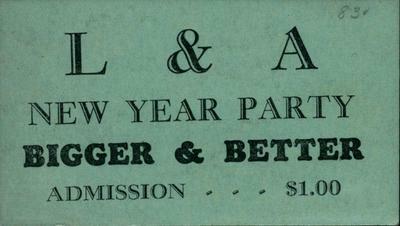 1930, L&A New Year Party admission ticket. ca. 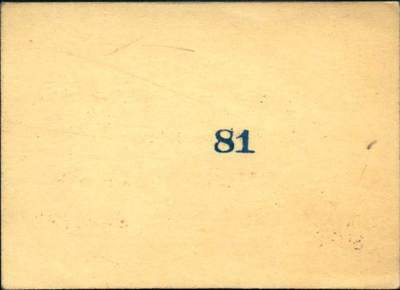 1930, Louis-Philippe Gagne ticket, "81" written on ticket.